Novella House is located within an 18th century historical building which has maintained its elegant character while adding modern amenities. The lovely wall decorations and affresco ceilings of the property, alongwith the Florentine furnishings mix perfectly with the modern features the building has adopted (i.e. elevator/lift, wifi throughout, and central air and heating). Exclusive location whether it be a romantic holiday for two, family holidays or business travel. Two types of accommodations Classic and Superior look out onto the Via Porcellana, others look out onto private gardens. Both allowing guests a relaxing holiday in Florence. These rooms offer guests an intimate, cozy atmosphere despite being large and bright. 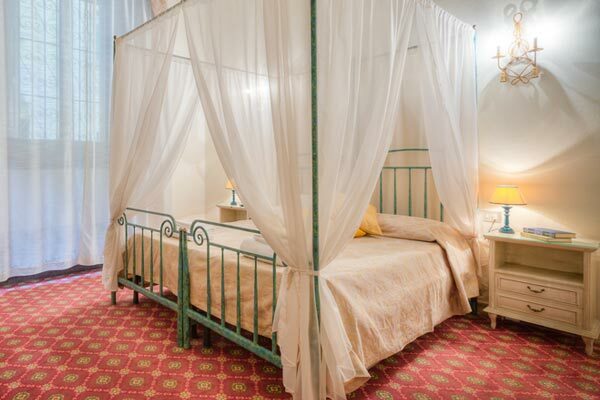 The furniture is made from local wood, the ceilings are affrescoed and they offer all modern conveniences. A perfect solution for a couple or business traveler. These rooms are spacious with a separate sitting room off the bedroom/ensuite. 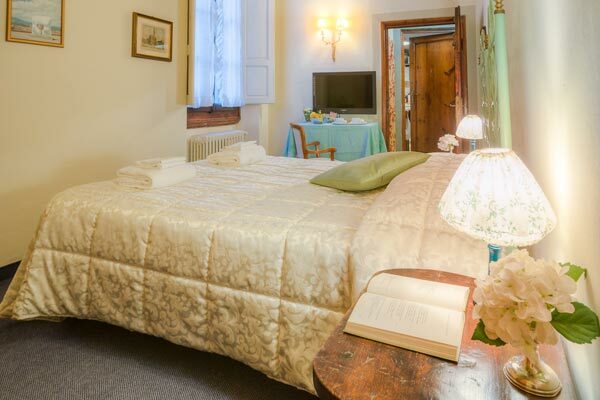 Modern and comfortable, they are the perfect solution for a memorable holiday in Florence. Fantastic position, comfortable room, big and very clean, everything one needed, including a breakfast kit in house. A great substitute for a quick breakfast. The only comment. The bathroom didn’t have a bidet. Comfortable, clean and great price. We will return. We had a wonderful stay. They gave us the bedroom with canopy bed we asked for. The room was like a mini apartment. The room was fresh and light; and very clean. We slept well. Totally satisfied. We will definitely return. Very close to the station. Young and very well prepared owner. I vacationed here with a friend and found this accommodation to be just perfect. I really enjoyed my stay. Staff very helpful and accommodating. Location perfect. s it is near the monuments and train station. I recommend stay here.